Connect your rain gauge with time lapse imagery to validate your claims and monitor your site’s weather conditions. Why use Rain Gauge Solutions? With one simple login, you can monitor every rain gauge on your site and see the data captured throughout your project. User friendly, extremely powerful, extremely simple. World Meteorological Organisation certified. Gain access to the same equipment the Bureau of Meteorology implements to track weather globally. 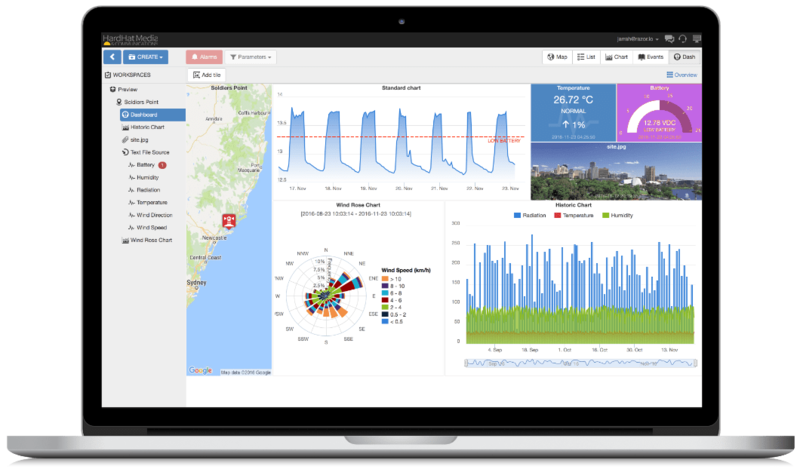 View the rainfall progress of your site from anywhere, data is instantly uploaded to your live dashboard. For optimal site monitoring, set yourself customisable SMS, email, audible and or visual alerts for rainfall. Acquire your data in the cloud, access site information anywhere, anytime. Quickly export historic data from the length the project. Our rain gauge solutions allow you to view in real time your site current and historic rainfall and wind sensor data. Trigger alerts to relevant people when certain events occur (e.g. 100mm of rain in a 24 hour period requiring site inspection). See dynamic wind-roses that allow you to view trends (last day, last week, etc.) and get alerts when wind direction or speed is likely to cause off-site impacts. Get notified when your system fails to connect. Stream nearby published met data to run a comparison and get alerts when significant differences occur (potential hardware error). 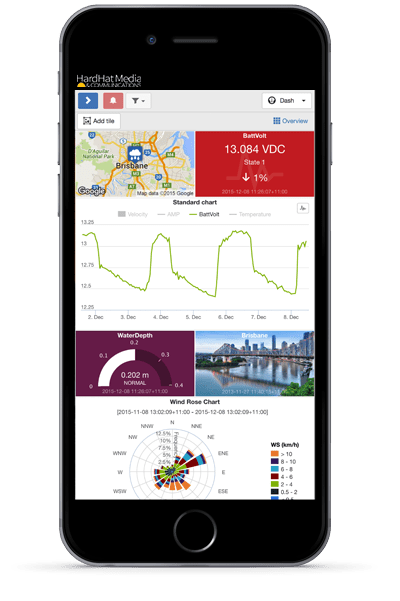 Set alerts when wind, rain, or humidity exceed or drop below levels that are meaningful to you.